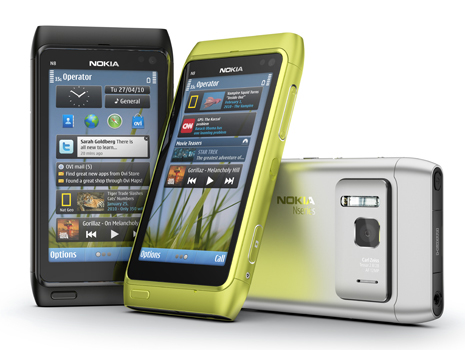 Years ago, Nokia produced some of the best mobile devices on the market. But the rapid growth of smart phones and their quick development cycle when controlled by Apple or Google, rather than an open source platform like that of the Symbian Foundation (which is at the heart of most Nokia devices) made them lose ground. It didn’t help the open source model with all its quirks either when Apps became a critical factor of a device’s success or failure. Perhaps it is my lingering sentimentality for the platform but I think for most people, the N8 would be a great phone. The Nokia N8 is only my second smart phone (the first being the rather lacklustre HTC Tattoo with the Android OS) but I have enough familiarity with the technology having played with other Android devices and some iPhones as well. The N8 is rather quick. At first I was rather enamoured with the way Android boots up but after the 100th time, you really wish they spent less time designing a graphic and jingle and more time making it run faster. The N8 has a much shorter loading time from off to on and is also very quick when loading applications and switching screens. One of things that annoy me with some Android models is that you can’t view all the applications that are open or close them easily. This leads to the phone becoming particularly slow and buggy. With the N8 you can have quite a few apps running without compromising the speediness of the phone but also have a quick way to close the apps which are open. Overall, the N8 is rather sleek. It looks more like a business tool than a child’s toy. Some people complain about the camera bump but I don’t see the problem. It never gets caught on anything and the picture quality more than makes up for it. The thing I don’t understand with industry critiques talking about streamlining, is it makes it sound that its resistance in a wind tunnel would be the determining factor in the purchase of your phone. The more important question is – if you drop it, will it still work? The HTC Desire HD, for example also has a camera bump and a tendency for the camera lens to fall out. I’d rather have less streamlining and more stability, which is what the N8 has. The impression that I get with many of the HTC variety models, is that they look like toys. They don’t have that professional aspect to them that you might get with the iPhone, Blackberry or the N8. The resolution and clarity of the screen is of the highest level and manages to be a much lighter device than many other smart phones. The overall problem with the N8 is that it isn’t as intuitive as other devices like Android or the iPhone – however, I don’t think necessarily makes it a bad phone, it just requires slightly more effort to understand it and reap the benefits of using it. One of the things that does annoy me is that I’m quite Google intensive: Gmail, docs, calendar and reader. Due to Android being a Google product then, it is much easier to get a better client for all of these functions. It has taken slightly more effort to get equivalent apps or methods to access all these functions but they still all work. If you aren’t Google intensive, you won’t even notice this problem. The mail for exchange function works fine, though I’d like a different way to set up my mailbox, the internet function isn’t as slick as some but it’s still workable, and there are multiple ways to get all your social media installed. In some ways, the combination of all the social media sites like Twitter, Facebook, Foursquare are bundled so it’s a one stop shop. I found the Facebook apps quite good but am still searching for the perfect free Twitter client. Seesmic on my old phone was wonderful but I think for the same functionality I’ll have to give in and actually purchase Gravity. Sadly, some of the apps are of lower quality or at least don’t look as slick as iPhone and Android apps. If you are an app intensive user, you’ll probably be frustrated with the lack of choice for applications, or longer time for them to appear on the Ovi store than in the Android Market or iTunes store. Though if you look, some of the apps can still have the same level of graphics quality. I recently downloaded a space shoot ‘em up called Galaxy on Fire. The handling on the game is quite easy but the graphics are fantastic! In general, there will be less apps so if you are a person who likes downloading the newest and most popular apps that appear on Wired and Best of lists, you might be disappointed. However, it is always good to remember that many apps are representative of a type and most of the time you can find a fairly good replacement. The N8 has some features that are standard in the hardware and user interface where Android required an app. For example, I had to download an app for my HTC Tattoo in order to export all my contacts to my SIM. Features like this are already built in with the N8. However, overall, the app market is the real problem with the N8 – if they had the depth and variety of apps that other operating systems have, I think many of its other foibles would be overlooked. The hardware on the phone is probably the N8’s best feature: I’ve found that the 12 megapixel camera is better than my stand alone camera (and even has more options). So if you like taking pictures, this is the phone for you. I’ve embarked on the Photo a Day project for this year and its one reason I’ve switched to the N8 as my primary phone. I don’t have to be satisfied with awful grainy and blurry photos if I stuck to my Tattoo or have to lug around my regular camera. I don’t find the hardware/software integration too jarring; you have to just be aware that all the buttons on the phone have a purpose rather than just the off and on with most smart phones. While it may take some time to tweak, moving apps to a different screen so they are more accessible, it still affords the same functions and features of most smart phones on the market. I’ve also found, as I do lots of random interviews for a podcast I contribute too, the microphone and camera are top notch. You can record HD quality short videos with your N8 that is just not comparable to other smart phones. Battery life is another massive win for the N8. Even with fairly steady use the battery can last 2 days; in comparison most other smart phone’s batteries last at most half a day with regular to heavy use. iPhones have set the standard for battery life exceeding low and I don’t understand how people can tolerate it. An entire industry has built up around replacement batteries, portable chargers and docking stations to make up for the poor battery performance of most smart phones. If you are obsessive about mobile technology then you will either love or hate the N8 as it has its shortcomings as mentioned but also a lot to be positive about. If you are a middle of the road user, then I think you will also be happy with an N8. You’ll be able to customize it to the maximum level and be able to navigate the Ovi store for the types of apps that you want. There will still be plenty of office applications and games to play. However, if you are a newer smart phone user or want something simple, easy and with all of the most trendy apps, you might want to shy away. It is easy enough to use but you might find it frustrating that off the shelf apps are not available or that it is harder to customize. In the end, make sure you know what you are looking for with your smart phone, as you can be disappointed with any type of phone if it not suitable for your specific needs.